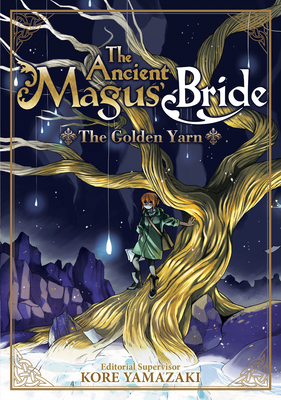 The first Ancient Magus’ Bride short story collection! The world of The Ancient Magus’ Bride is bigger than Elias and Chise, and many are the folk and spirits who cross their lives’ path. Their tales twist together in a tapestry, words like golden yarn, a weaving of memories and secrets. Contained within these pages are new stories of Kore Yamazaki’s fantastic Britain, penned by the author herself and a star-studded lineup of Japanese authors. From a Celtic vampire in love with a human, to a gemstone knight, and even a glimpse into what Silky does in her spare time, let this enchanted collection take you to the hidden corners of a beloved fantasy world.